Why do you want SN Fencing to handle your glass fencing needs? When looking for a glass fencing company or a balustrade supplier, you have many choices. There’s the new company, your local “backstreet” contractor or many of the manufacturers who have now ventured into this specific business or other thousands of options. With all of these choices, why choose SN Fencing for your glass fencing needs? Experience: Our team has more than 10 years of experience in fencing business, and we work with an expert team that is equipped to take your vision and create the functional and beautiful home you have always had in mind. Knowledge and skill: We’re focused on pool compliance. We work with you to create a safe, appropriate pool fencing solution that complements your outdoor area and meets compliance requirements. Focus and dedication: At SN Fencing, we’re focused on service. We know that pool fencing is not just about safety- it’s also about aesthetics. We put our best effort to ensure customer satisfaction. Professionalism and honesty: As we work with you, we’ll be upfront and honest. At every step, you’ll be kept in the loop about pricing, timelines, and other details, so you can stay in control of the project. Reliable timeframe: Once we’ve set a timeline, we stick to it no matter what. Our reliable timeframes, responsive service, and quick communication have helped us serve countless happy customers in Melbourne and around Victoria. 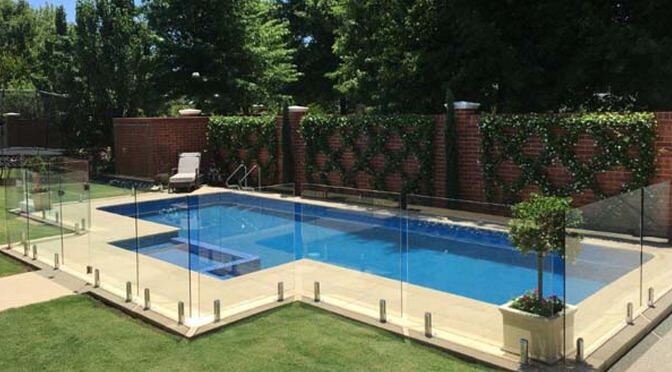 Quality materials: While keeping the price affordable, we provide Australian standard material, so you can feel assured that your new pool fencing will be durable and compliant. Customer service: We back up each pool fencing project with a one-year warranty on all hardware, and a one-year warranty on all installation issues. So, if there’s a problem at all, simply call us and we’ll attend to it, keeping your pool fencing in great condition. Contact us today for more information about us as glass fencing supplier and how we can help you with your fencing needs. If you have a vision, we will make sure it comes to life with no detail left unattended. We look forward to working with you!